This group photograph was taken at the 1997 Daytona National meet. The Florida Antique Tackle Collectors (FATC) held this winter meet on February 21,22 & 23, 1997. (right) Mr. Chuck Heddon. Chuck is the grandson of Laura and W. T. Heddon. (second right) Mrs. Joan Lyons. 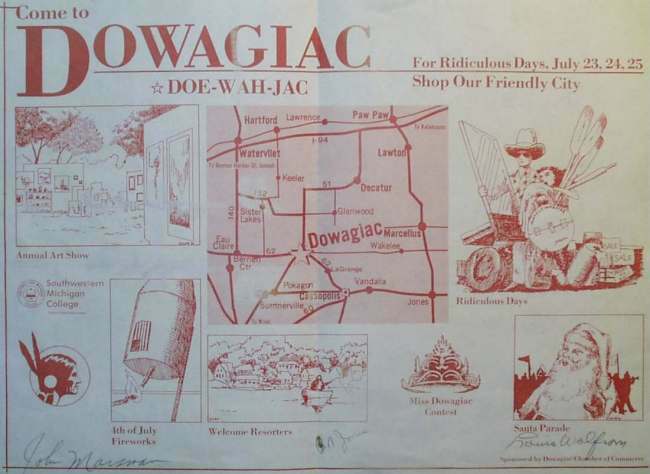 Joan and Don Lyons are the owners of The National Heddon Museum in Dowagiac, Michigan. (left) Mr. Fumio Iwasaki a Japanese an old lure collector from Japan. (second left) Mr. Clyde A. Harbin Sr. The Famous Bassman®. 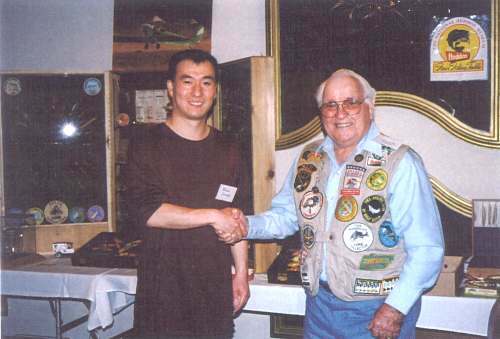 (left) Mr. Fumio Iwasaki (right) Mr. Clyde A. Harbin Sr.
Mr. Clyde A. Harbin and Mr. Fumio Iwasaki meet and shake hands in front of the Chuck Heddon old lure display at the 1997 Daytona National Florida Antique Tackle Collectors (FATC) meet. 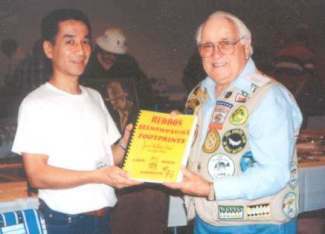 (left photograph) Mr. Yuzo Watanabe is receiving a signed #96 copy of Mr. Harbin's book "The Heddon Historical Footprints" at the 1997 Daytona National meet. (right photograph) Mr. Fumio Iwasaki receiving the #97 signed copy of "The Heddon Historical Footprints" book. 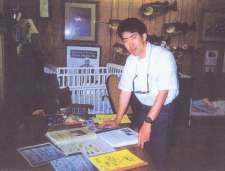 The following year February 6,7, & 8, 1998 at the Florida Antique Tackle Collectors meet in Daytona Beach, Florida Mr. Harbin was visited by Mr. Shigemasw Obitsu, Mr. Yuzo Watanabe and Mr. Hiro Takatani. At this event they presented Mr. Harbin with this beautiful Heddon Zaragossa lure in a red cardboard box as a gift from Mr. Fumio Iwasaki. 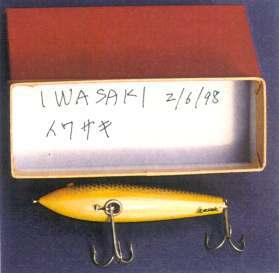 Upon Mr. Harbin's return home from this meet he wrote Mr. Iwasaki thanking him for his wonderful Zaragossa lure gift. 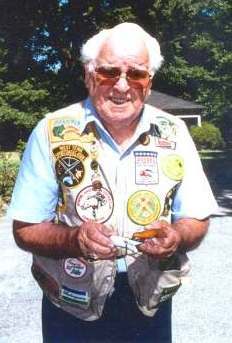 Mr. Harbin returned a gift package which contained his famous Bassman patch, his handcrafted spinner bait, triple spinner bait and his handmade chamois tails. 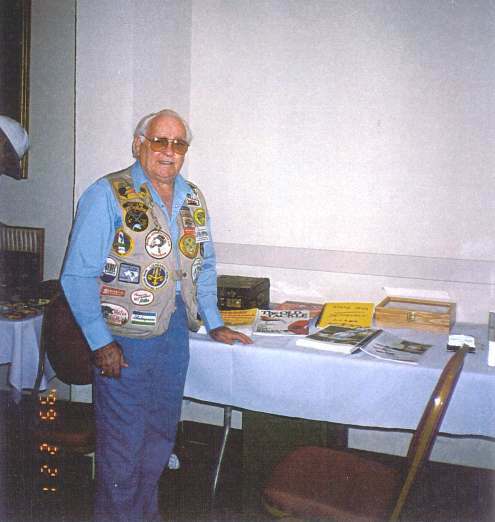 Mr. Clyde A. Harbin Sr. displaying his "James Heddon's Sons Catalogues" book and "Heddon Historical Footprints" book among other written material at the Florida Antique Tackle Club's Daytona International Antique Tackle Show. This event was held February 19,20 &21, 1999 and was sponsored by the FATC. Mr. Kuniaki Horiuchi of Kuni Crafts and Mr. Yukio Yamada proudly display these pictures on their office walls back in Japan. Mr. Lanny West is The Senior Director of Marketing and International Sales for PRADCO. Mr. Lanny West and Mr. Clyde Harbin Sr. have been close friends for many years. Mr. West first met Mr. Harbin in 1983 when PRADCO purchased the James Heddon's Sons company. Prior coming to PRADCO Mr. Lanny West had been with Daisy-Heddon since 1960 as a salesman and in the sales and marketing department until 1973 when he came to PRADCO. 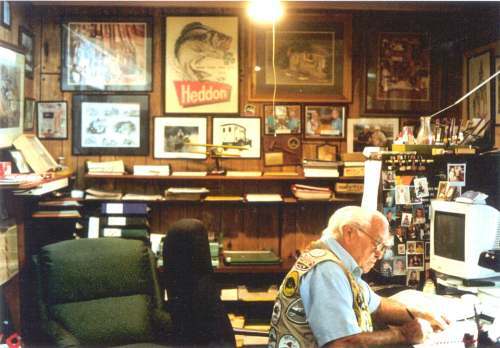 Mr. West has enjoyed a long and pleasant career in the fishing lure industry and of course with Heddon. Lanny West was so kind to research and write this story on Hiro Naito about his "Japanese Connection" for his good friend Clyde Harbin so I could publish Mr. Hiro Naito footprints for my Japanese Story series. .
Hiro Naito, PRADCO’s "Japan Connection" promoting and marketing its leading brands of fishing lures in Japan. 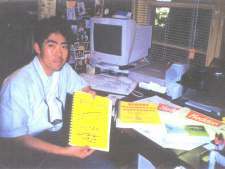 Hiro Naito came to the United States in 1978 to further his studies in the field of Engineering. During pursuit of his university degrees, he lived in Alabama and Georgia. 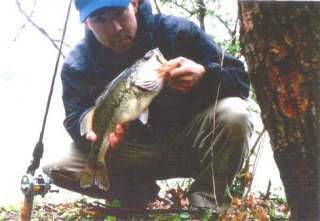 Having discovered the joys of bass fishing first in Japan, he pursued his fishing while living in these bass rich states. 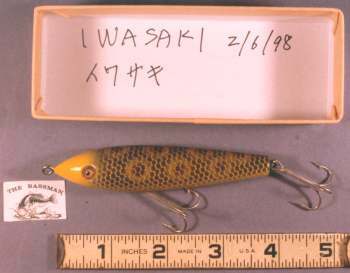 In 1983 Naito met and went to work for Mr. Jim Bagley, founder and owner of Bagley Bait Company, Winter Haven, Florida. 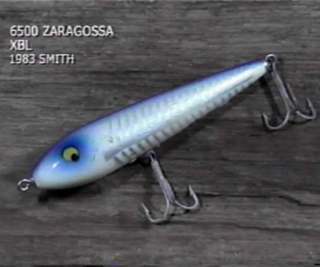 Shortly after meeting Jim Bagley, he began to do promotional work for the Bagley Bait Co. 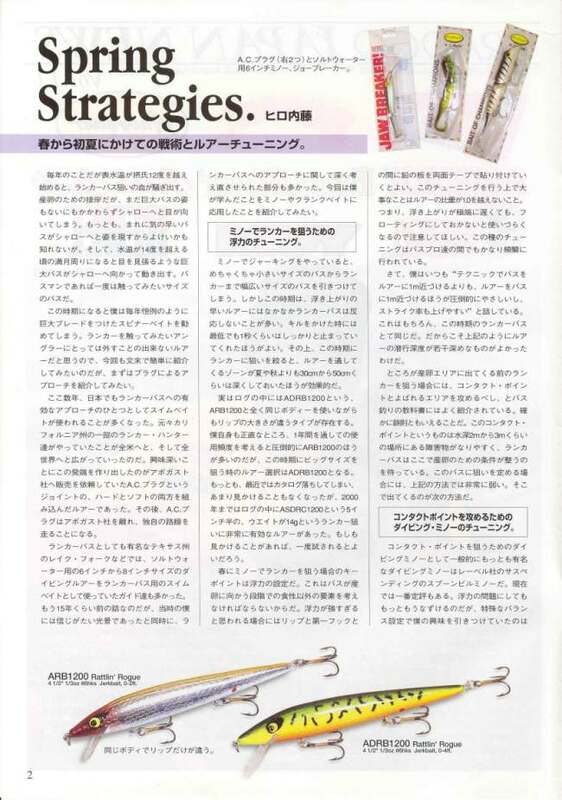 In the mid-1980s, as Mr. Bagley expressed an interest in bringing a premium copolymer fishing line to discriminating American anglers, Naito put Bagley in touch with the premiere manufacturer of monofilament lines in Japan. Working with the firm’s engineers and chemists, with Mr. Naito serving as interpreter and market researcher, Silver Thread AN40 was created. Working together, they developed the finest, most technologically advanced fishing line on the market at the time. 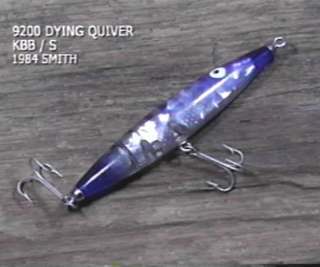 This unique, new high quality copolymer fishing line, Bagley Silver Thread AN40 was introduced at the 1985 American Fishing Tackle Association Trade Show in St. Louis. 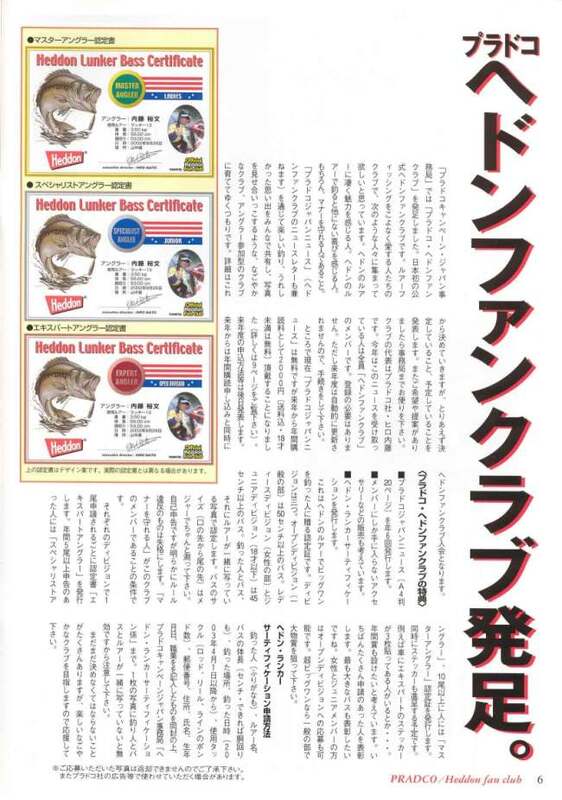 While in Japan, working with the line manufacturer, Naito continued doing bass fishing promotional work for Bagley Baits. 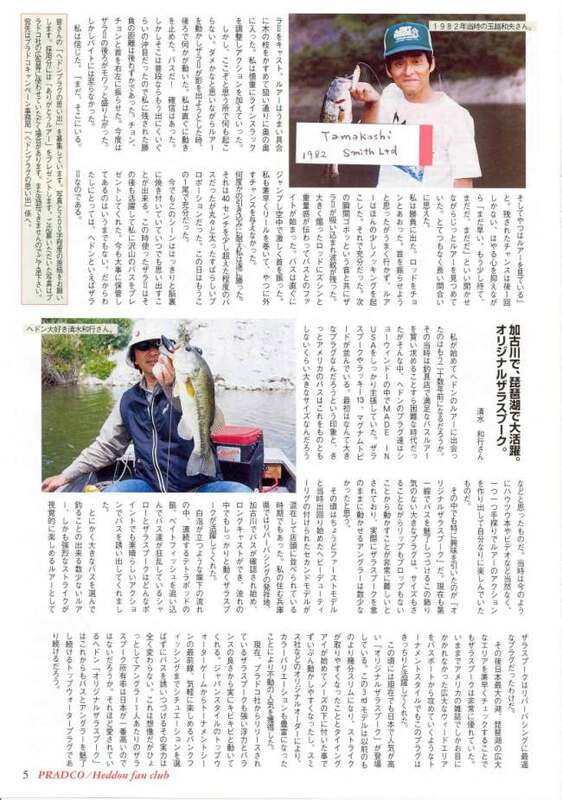 During this time he also began participating in Japanese TV fishing shows, writing informative articles for Japanese fishing magazines and doing bass fishing seminars. 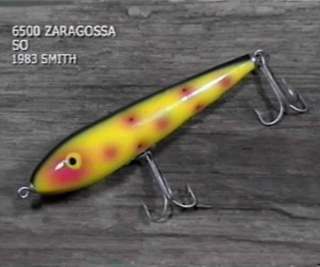 In 1988, Jim Bagley sold his Silver Thread line company to PRADCO, makers and marketers of some of the world’s most respected fishing lure brands like REBEL, Cordell, Smithwick, Bomber, Creek Chub, Riverside, Fred Arbogast and James Heddon’s Sons. With the acquisition of the company, Naito continued his role as Silver Thread’s line specialist working with the company’s supplier in Japan. He also began to assume responsibility for the sales and promotion of all of PRADCO’s fishing lure brands in the country. With his broad knowledge of the fishing tackle market in Japan, Naito brought to PRADCO’s international marketing effort a broad range of expertise and experience. 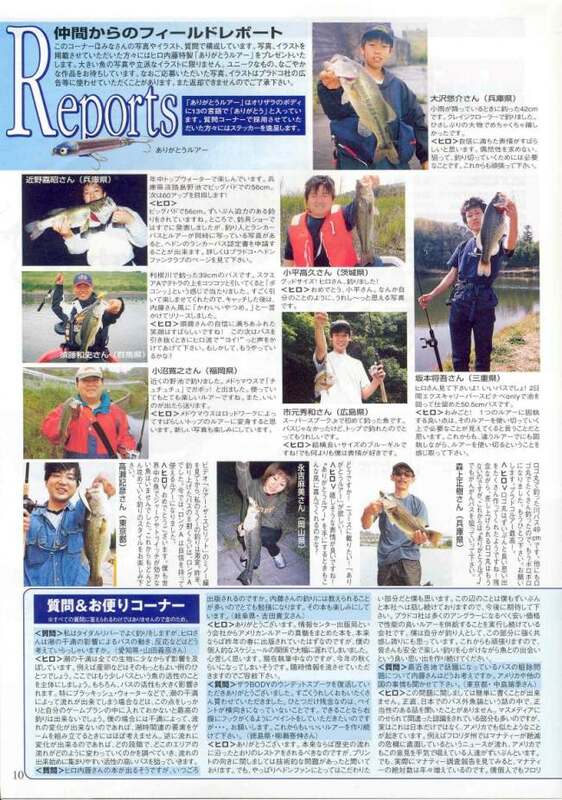 Naito has become one of Japan’s most popular and recognizable professional anglers, appearing frequently on the country’s leading TV fishing shows. 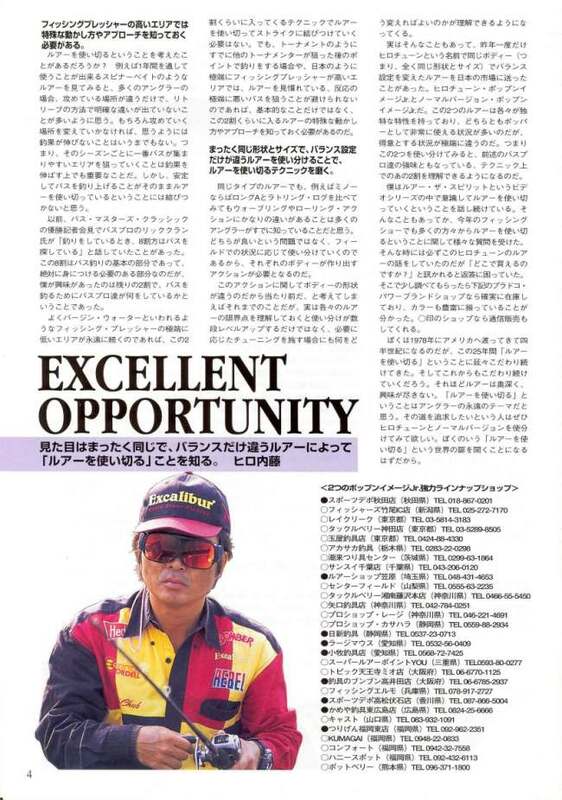 He is also a popular seminar speaker at consumer fishing shows and fishing tackle shop promotions in Japan. 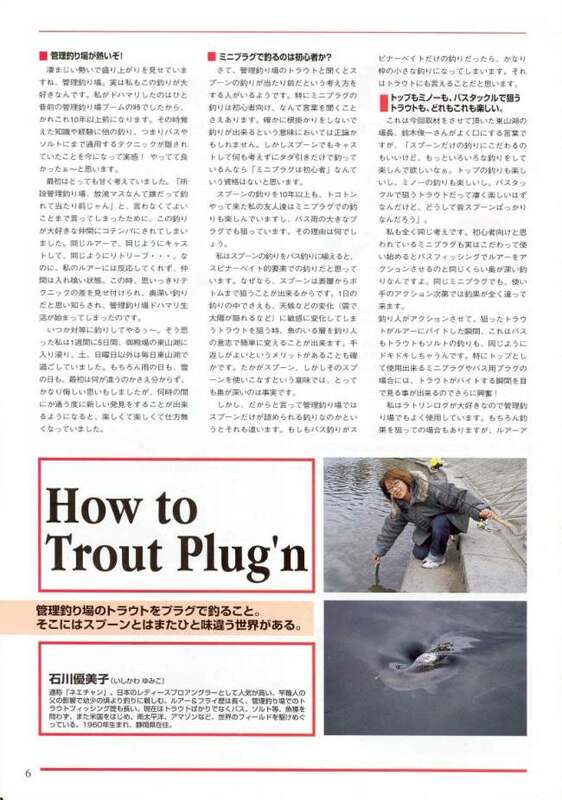 He has been instrumental in the development, production and marketing of an extensive and very popular "how-to" series of award winning fishing videos for distribution in Japan. 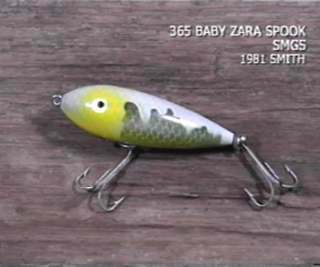 Each tape in the series deals with a different style lure, focusing on the specific lure’s action including many productive tips designed to improve the angler’s performance with the various featured lures. 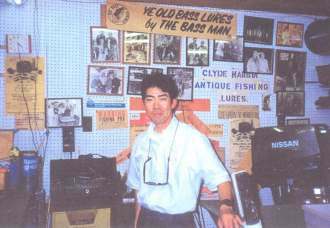 Hiro Naito was the first Japanese Press Angler to be invited to participate in a BASSMaster’s Classic. 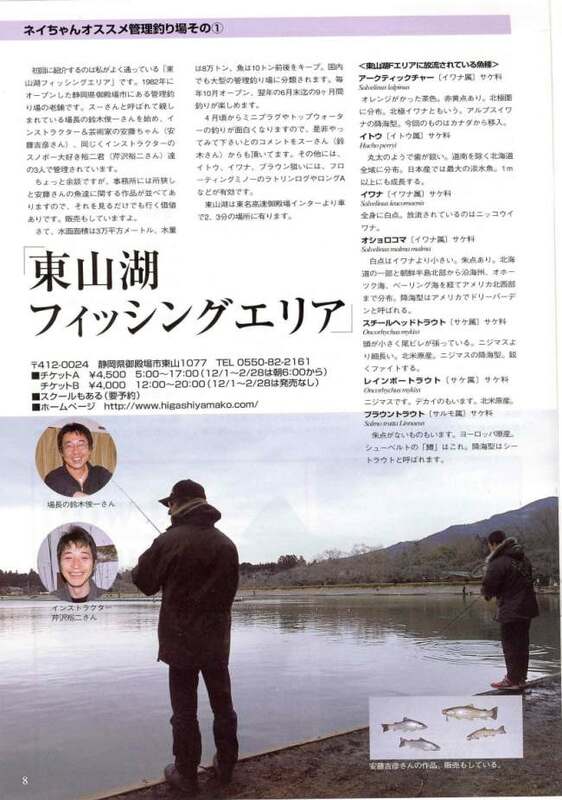 Since attending his first classic as a visiting international journalist, he has been invited to return several times to report on this important annual event to the leading bass fishing magazines in Japan. 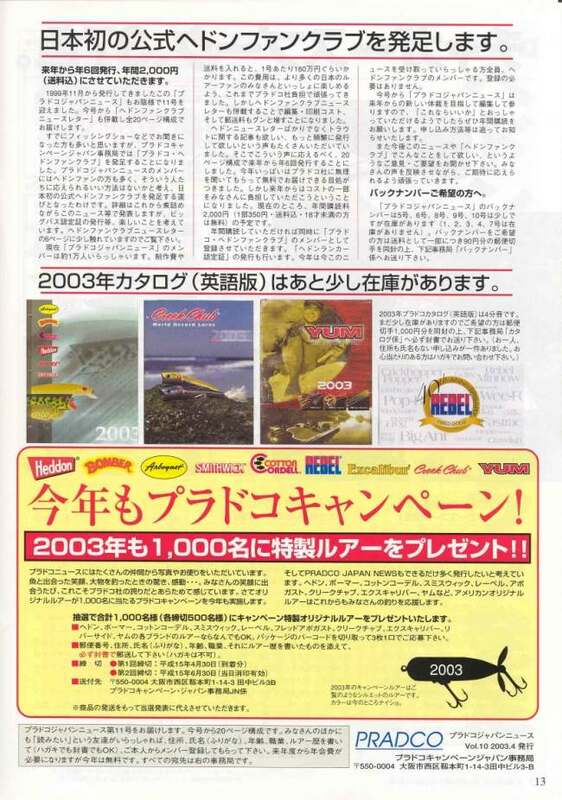 Beginning in early 2000, Naito, working with the leading Japanese fishing tackle distributors, began establishing a group of full-line fishing tackle shops across the country as PRADCO Power Brand Shops. These shops, each the most popular tackle shop in their area, feature a wide selection of all of PRADCO lure brands. 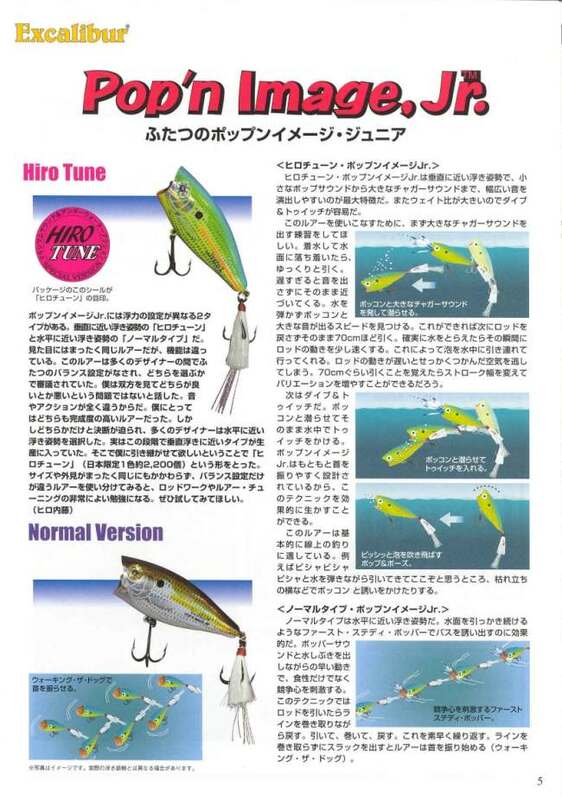 Naito also publishes quarterly editions of The PRADCO Fishing News, a high-quality tabloid publication that features news of the latest PRADCO Power Brand Shops, features on the newest PRADCO lures, the latest fishing tips and news of scheduled seminars and promotions. Copies of these informative newsletters are available free of charge in each of the Power Brand Shops and mailed to all members of the PRADCO Youth Fishing Club. 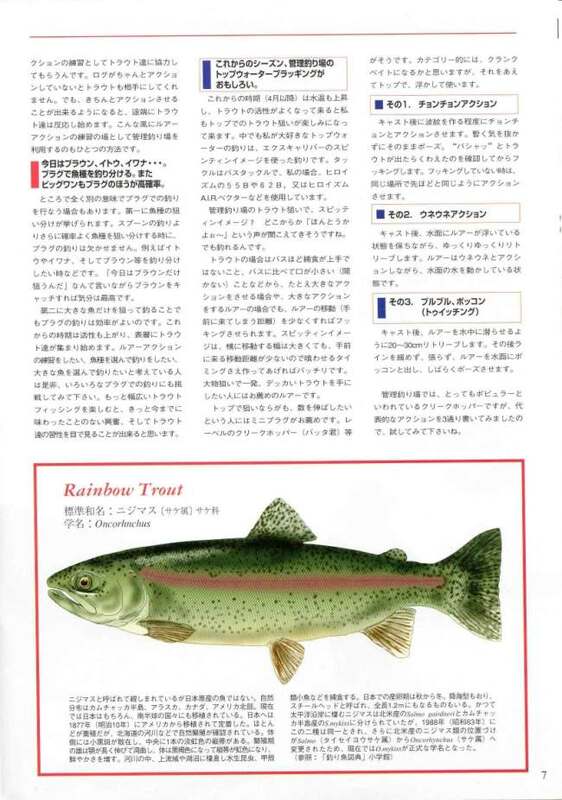 Naito is responsible for all of the marketing, sales and advertising of all PRADCO lure brands in Japan. 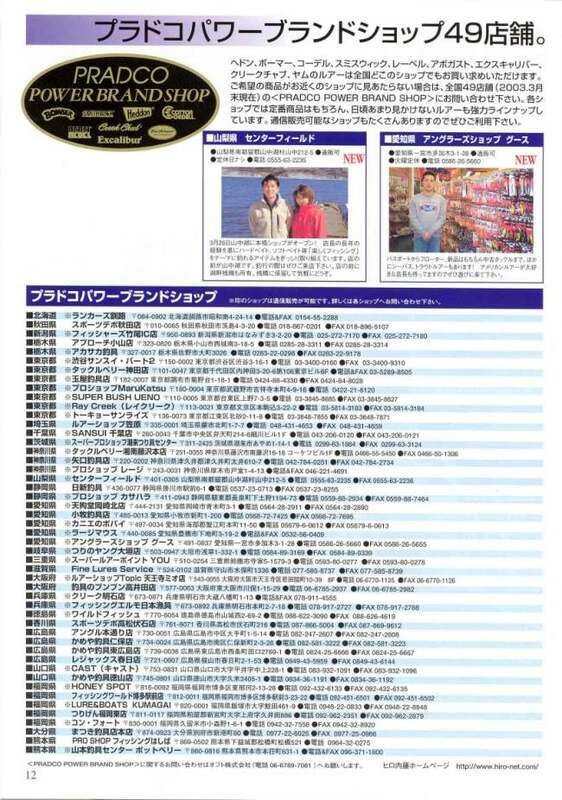 Naito spends more than half of the year working in Japan. When he is not at his home in Florida, he is escorting Japan’s leading fishing journalists and TV personalities on exotic fishing trips around the world, garnering award winning photos and promoting PRADCO brand lures with the journalists who are all gathering information for future stories for Japan’s leading fishing magazines. 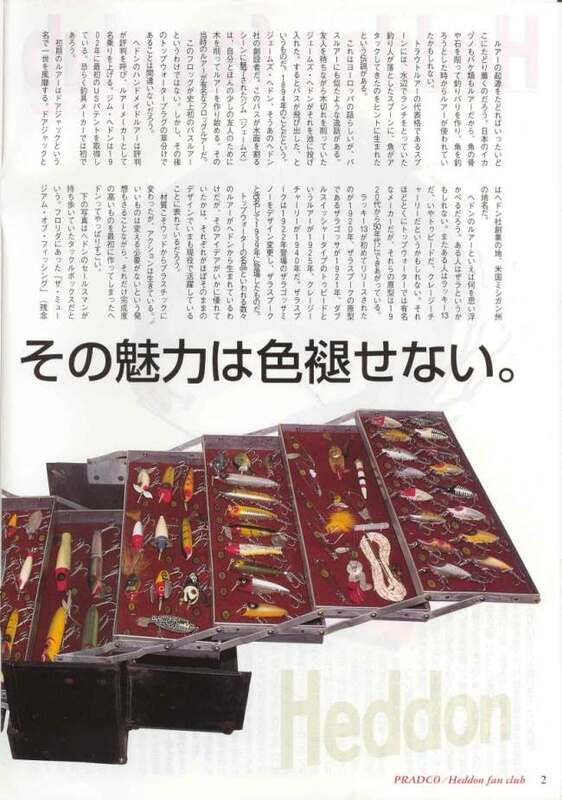 Naito continues to bring to the PRADCO fishing lure brands an uncommon expertise in the field of fishing lure marketing. He respects and promotes the heritage of each of the brands respecting their many years of producing high quality, fish producing lures for the anglers of his country. 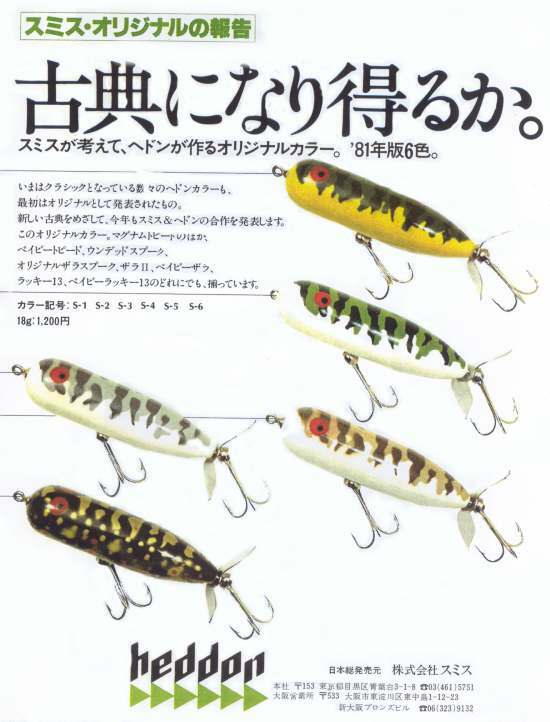 There is a unique side of the fishing lure business in Japan. 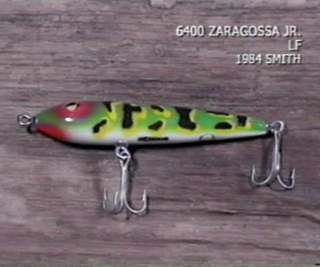 It is the passionate interest of fishing lure collectors in old and unique lures of several of PRADCO’s brands. 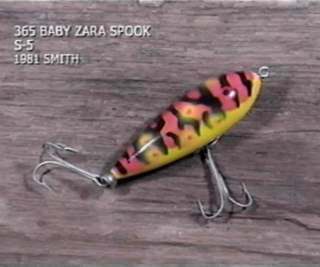 This is especially true of the lures from James Heddon’s Sons. 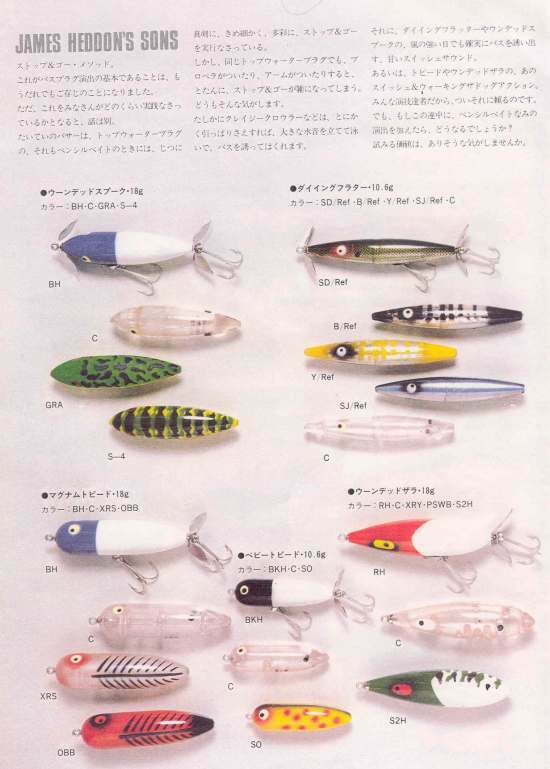 Thousands of unique colors in current and discontinued models of Heddon lures are ordered by distributors in Japan each year. 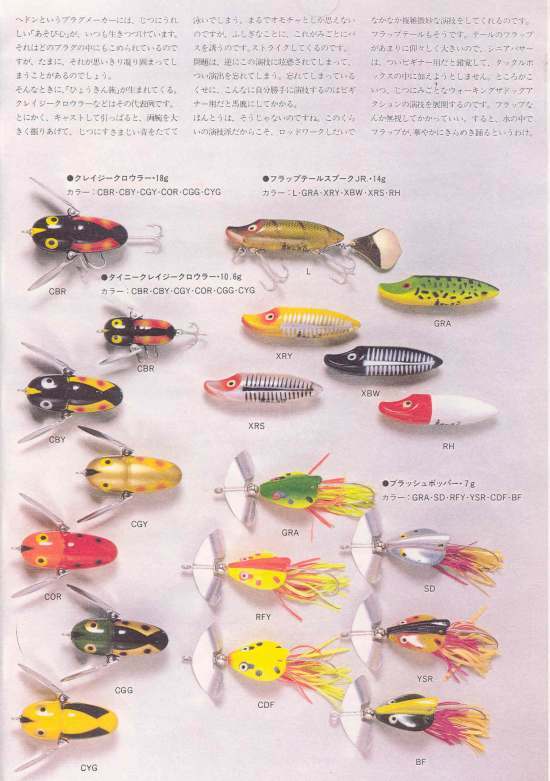 There have been special books published for lure collectors that chronicle those lures and the years of their production for the Japanese market. 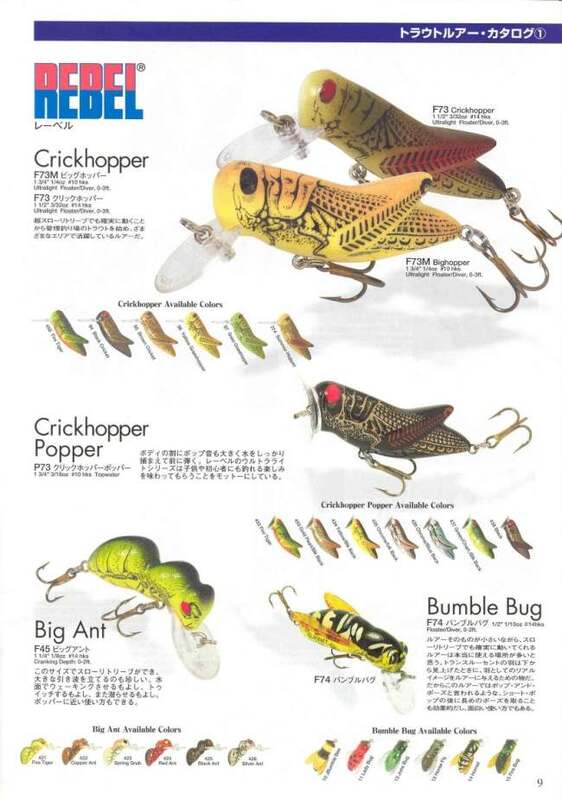 Naito continues to work with the leading distributors and dealers in Japan in the marketing, advertising and promotion of all PRADCO brand lures. It is interesting to note that Naito’s sister, Chiaki Mukai, a cardiologist, is an astronaut with the Japan Space Agency presently on assignment to America’s space agency, NASA. She has been a Payload Specialist on two shuttle missions in recent years. On her most recent mission, she accompanied Senator John Glen on his historic Challenger mission STS-95 in the fall of 1998. Translation by Mr. Hiro Naito - "Thank You For Your Attention"
Special Thanks to Mr. Lanny West for writing this interesting story on Mr. Hiro Naito for this website. 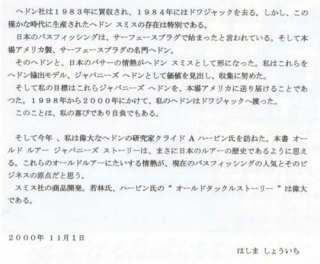 Mr. Hashima Shoichi May 20, 2003 letter to Mr. Clyde A. Harbin Sr. The main story in this portion of this posting is the Homer Circle, row 3 first lure which is now in Mr. Harbin's possession. 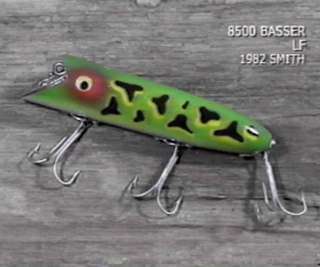 Mr. Harbin positioned the lure in the upper lip of the bass to illustrate the same "Lightening Strike" paint finish design and the first non production style of the Heddon Sonic lure that came from the Homer Circle Lure Collection that he acquired in his 14 years at the Heddon Dowagiac Factory. 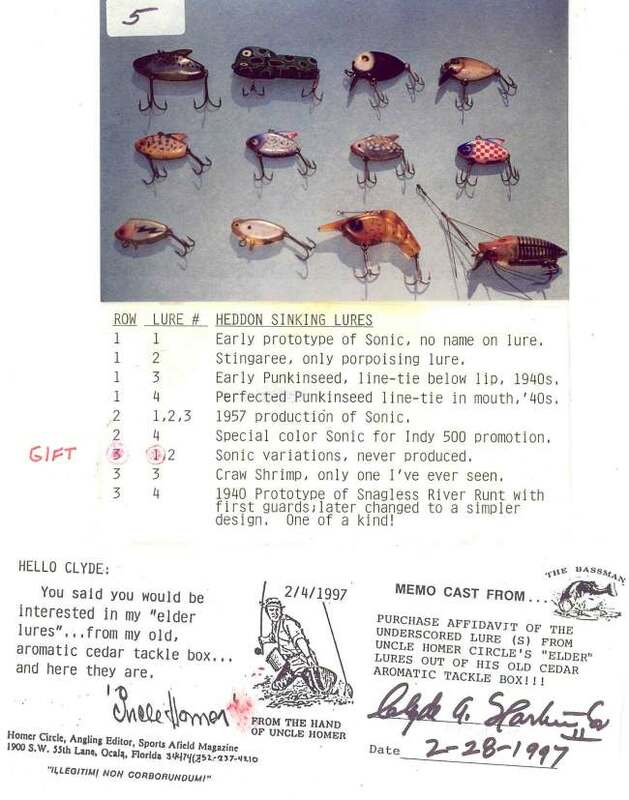 Row #3, lures 1 & 2 are Mr. Clyde Harbin's Sonic variations which were never produced. Homer Circle wrote of the Sonics on page 346 in Mr. Harbin's "Heddon Historical Footprint" book. This is an old James Heddon Sons flyer which is signed by John Marsman, Louis Wolfsom and Bob Jones. John Marsman was President of Heddon, Louis Wolfsom was Vice President and Bob Jones was the Plant Manager. 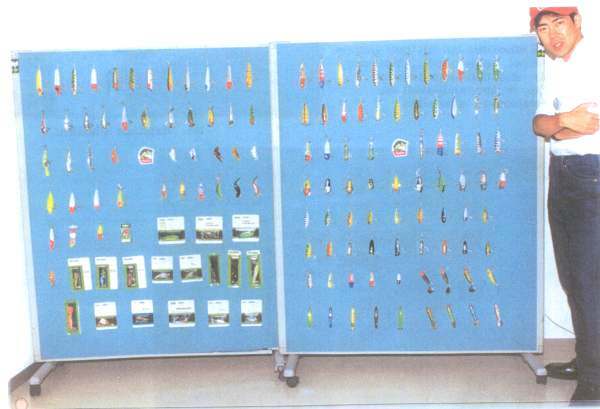 Bob Jones was also in charge of the Factory Lure Collection for many years until PRADCO acquired them. Hiro Naito known as the "Japan Connection" has many titles and wears many hats. He has enjoyed a long career in the fishing industry and is also the president of the Heddon Fan Club in Japan. Shortly after coming to the United States he began to work for Jim Bagley of the Bagley Bait Company to do promotional work. Hiro Naito put Bagley in touch with line manufactures in Japan. Working with skilled teams in Japan they developed the Silver Thread fishing line. Later on Jim Bagley sold the Silver Thread Company to PRADCO. 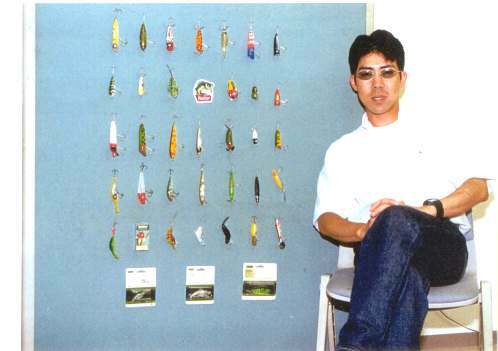 After the acquisition of the company Hiro Naito continued his role as Silver Line Specialist and began to promote the sale of PRADCO fishing lures in Japan. Mr. Lanny West (Senior Director of Marketing and International Slales for PRADCO) wrote an in-depth story about Hiro Naito "The "Japanese Connection". 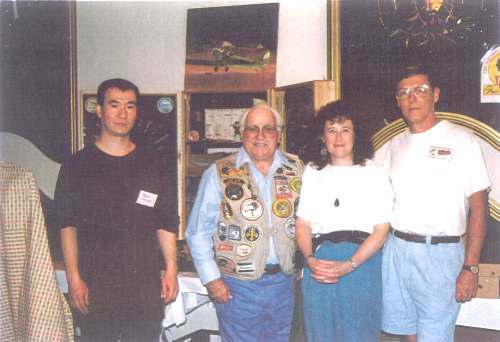 Mr. Hashima Shoichi flight landed at the Memphis airport on July 24, 2000. At 8am after a three mile walk from the airport Mr. Shoichi arrived at the Harbin home. He presented Mr. and Mrs. Harbin with these fine gifts which he brought with him from Japan. 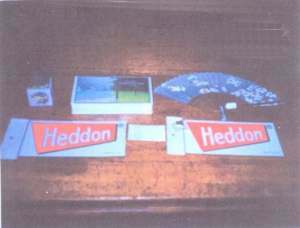 The gifts included a Japanese boxed fan, Pokemon boxed cards, two Smith Co. Ltd Heddon cards and a video tape the Last Summer 1997 by Shizuo Hatori. After a very warm welcome from Mr. and Mrs. Harbin Mr. Shoichi signed the Harbin guest book. 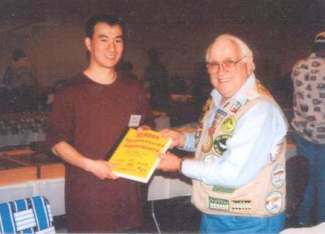 Mr. Clyde Harbin presented Mr. Shoichi with his Bassman Lure Collector patch, Heddon jacket patches, a copy of "Just for the Record" The First All-American Invitational Bass Tournament, The Beginning of the NFLCC from Floyd Roberts website the Bassman Section and Mr. Harbin's Spare Parts and Depression Lures books all as gifts. 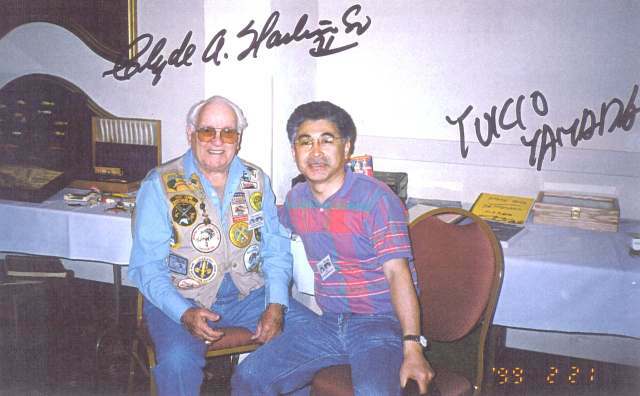 Each book was personally signed and dated by Mr. Clyde A. Harbin Sr.
Later that day Mr. Shoichi purchased the #167 copy of The Heddon Historical Footprints book by Clyde A. Harbin. Mr. Harbin presented Mr. Shoichi with a gift copy of his 9th Heddon video. 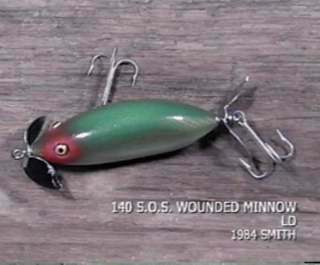 This video relates to The Heddon Historical Footprint book and has Heddon information which was discovered after the Footprint book was printed. These photographs of Mr. Hashima Shoichi and Mr. Clyde A. Harbin Sr. were taken in Mr. Harbin's garage where his bass boat is stored. 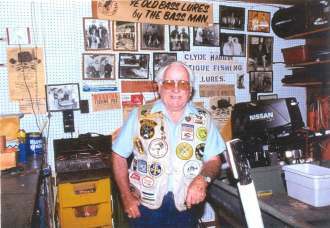 The pictures in the background are of Mr. Harbin's many fishing trips and old lure swap meet that he attended over the years. Mr. Harbin and Mr. Shoichi moved outside to take pictures of the two Philson tackle boxes that are filled with 300 plus old fishing lures. 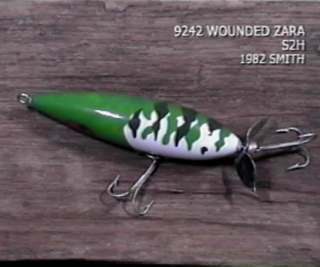 The Philson tackle boxes were used for Mr. Harbin's Bas-Tek-Neke and Ye Old Bass Lure Seminars. 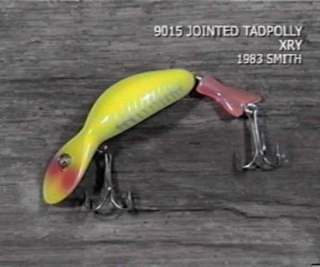 They also have been displayed at many bass fishing events, old tackle shows and service club meetings over the past years. 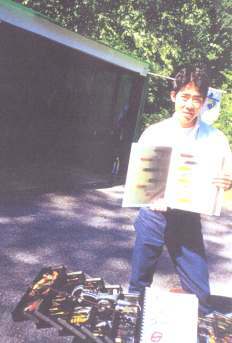 Mr. Shoichi is holding up a Smith Co. color chart from one of Smith Co. Ltd. catalogues from the early 1980's. 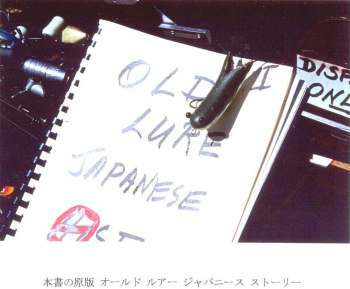 In the foreground is a copy of the "Old Lure Japanese Story" This book was hand assembled by Clyde A. Harbin and contains Japanese letter and pictures that Mr. Harbin gathered from 1978 through 1999. Only ten such copies of Mr. Harbin's "Old Lure Japanese Story" exist. Mr. Harbin is holding up a fake handmade Heddon Frog in his right hand and a Heddon #3500 Luny Frog in his left hand for Mr. Shoichi. 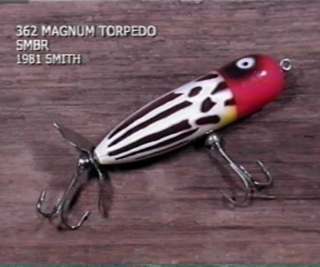 At one time Mr. Harbin was a owner of two authentic handmade Heddon Frogs. 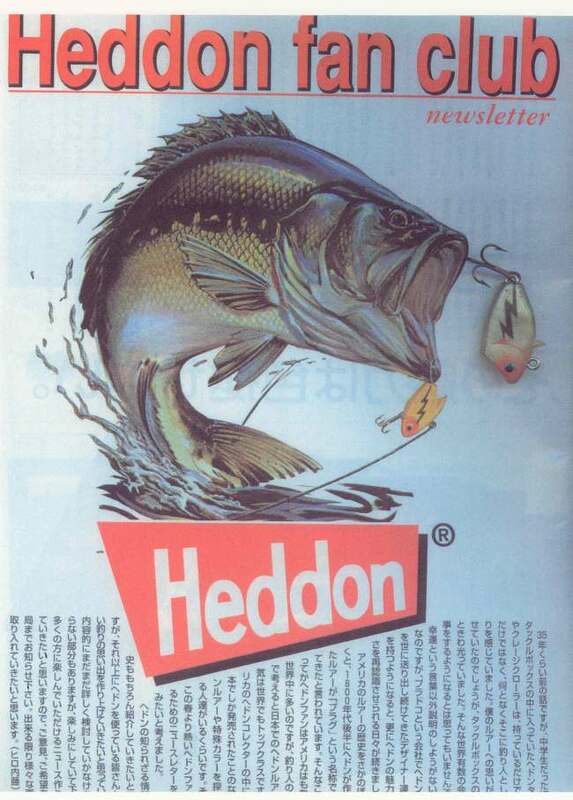 Knowledge of the Heddon Co. is sent to Japan from the office of Mr. Clyde A. Harbin Sr. Translation by Mr. Tsutomu Wakabayashi: This translation is from the below Japanese writing. The author has changed some of the wording in order to make Mr. Hashima Shoichi writing into a story. 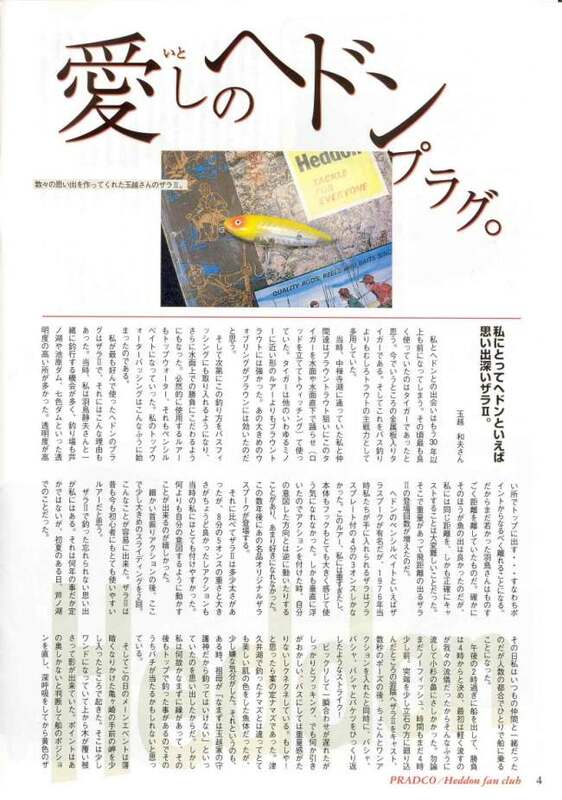 Mr. Hashima Shoichi first learned of Mr. Harbin from a series of articles titled "Old Tackle Story" in the Japanese "Fishing" magazine written by Mr. Tsutomu Wakabayashi back in March of 1981 to June of 1982. 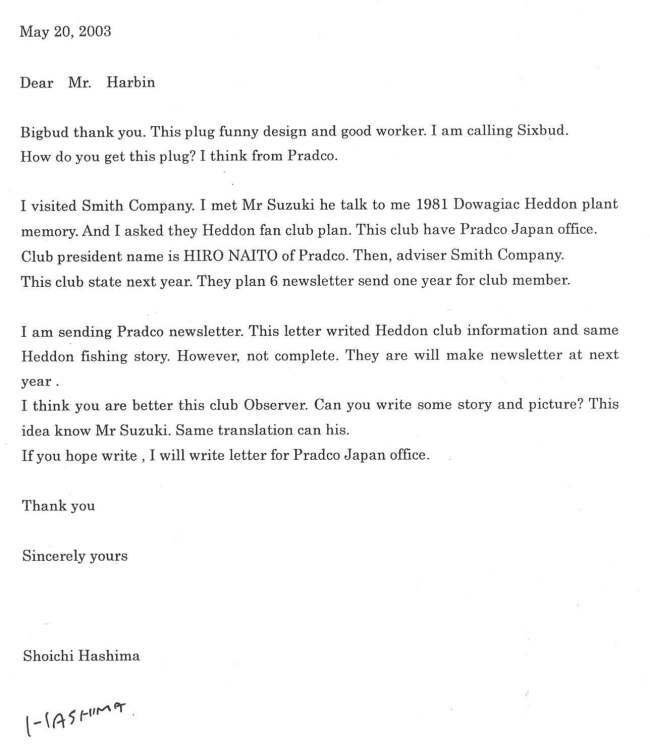 Mr. Shoichi was a youngster at the time when the articles appeared and saw Mr. Harbin pointing to a Heddon Radiant in a picture. 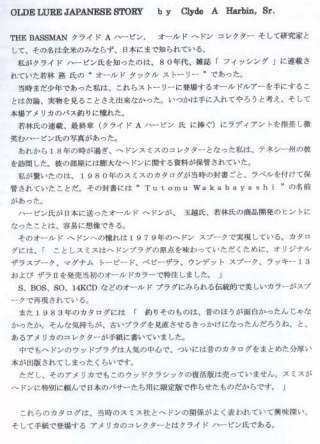 Mr. Wakabayashi dedicated his series of The Old Tackle Stories to Mr. Harbin in his last Old Tackle article. 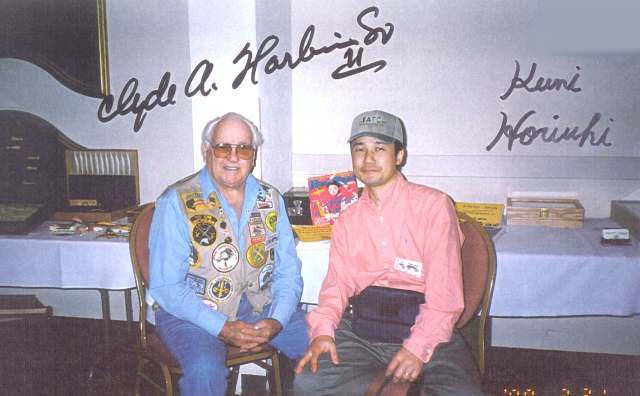 Eighteen years have past since then and now Mr. Shoichi a Heddon collector finally got the chance to visit Mr. Clyde Harbin at his home in Memphis, Tennessee. 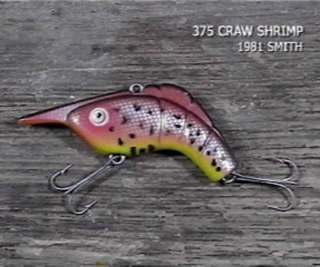 Mr. Harbin's home has the largest archive of Heddon related documents and actual lures. Mr. Shoichi was amazed by the old Smith catalogs that were still in the original envelopes that were sent by Mr. Wakabayshi while he was working for the Smith Co. Ltd. 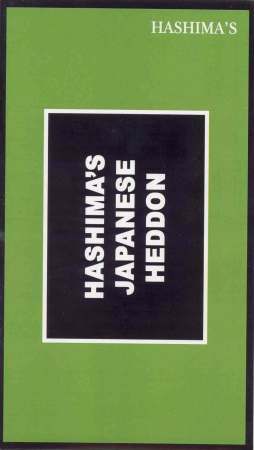 It was easy for Mr. Shoichi to see that the old Heddon lures Mr. Harbin sent to Japan functioned to stimulate the imagination of Mr. Wakabayshi and Mr. Tamakoshi to develop the Heddon/Smith lures. 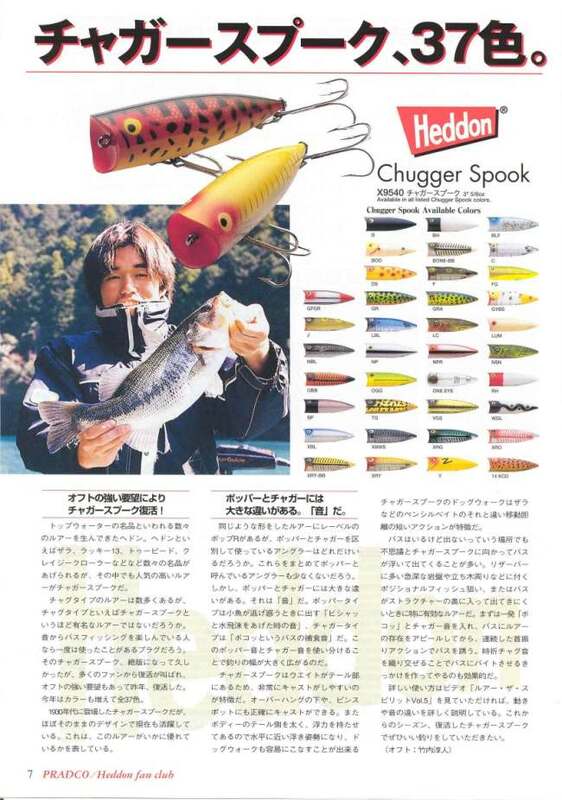 The catalog said "In order to help Japanese anglers enjoy part of the rich tradition of old time Heddon lures the Smith company special ordered Spook colors that went back to the original release". 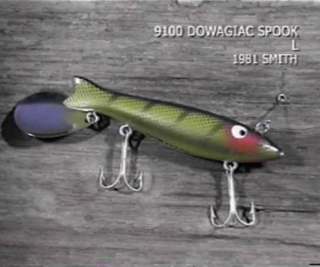 In the 1983 catalog Smith wrote "One of our American friends (who is a serious collector) wrote to us that fishing itself could have been more fun in the older times. Perhaps that might be the reason for the recent interest in vintage plugs. 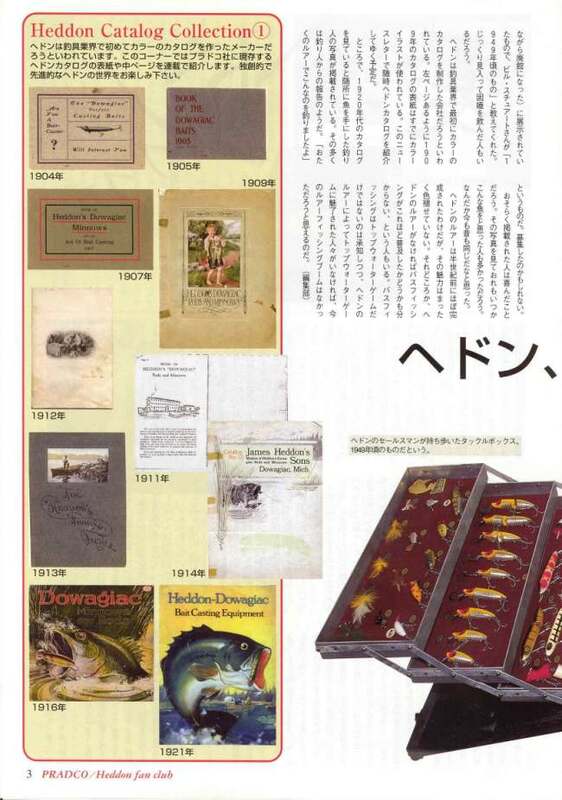 The center of the interest is of course Heddon and recently a thick book that compiled old Heddon catalogues was released. 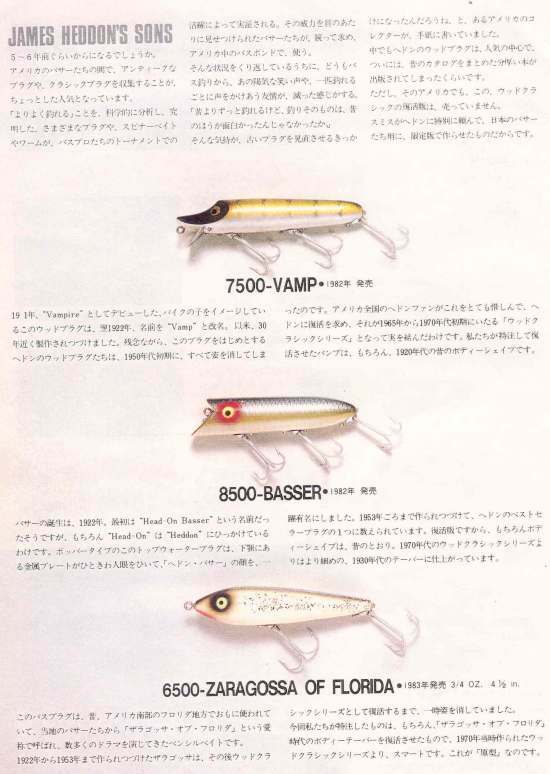 We specially asked Heddon to revive these attractive lures only for Japanese bassers". Of course the "American Friend" was Mr. Clyde A. Harbin Sr. and the writing implies the nice working relationship between Smith and Heddon. Heddon was purchased by EBSCO in 1983 and Heddon left Dowagiac, Michigan shortly after. 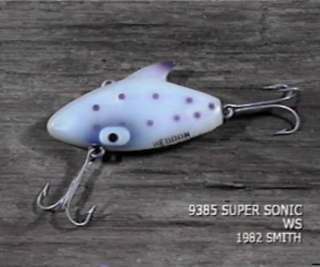 The Heddon/Smith lures were produced only for a short time and that is what makes them so special. 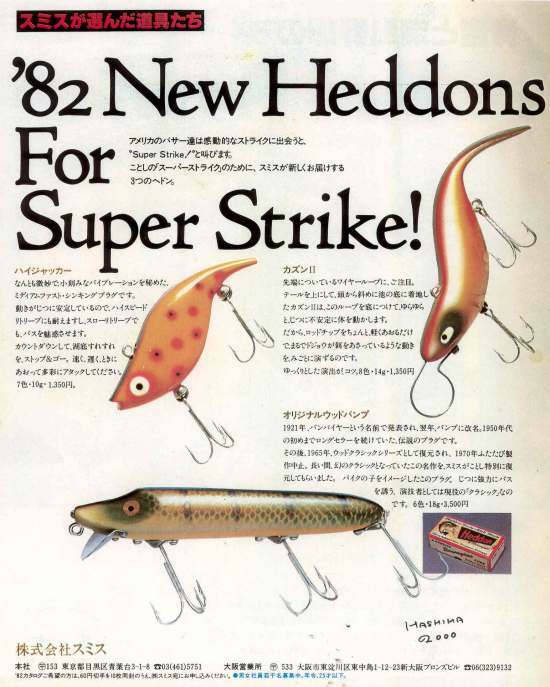 Heddon/Smith plugs are the fruit of the vast lure making know-how of Heddon and enthusiasm of the Smith Co. Ltd. Mr. Shoichi found these export models (Japanese Heddon's) lures very valuable and this is why Mr. Shoichi became a Heddon collector. 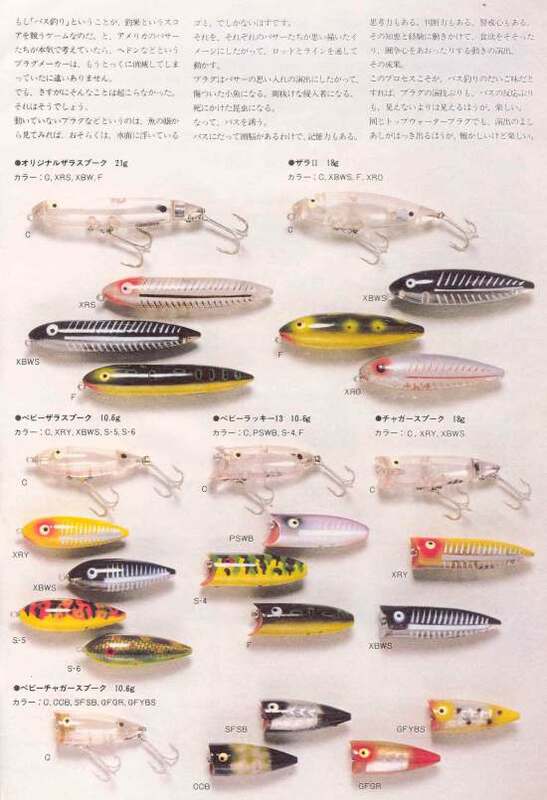 Mr. Hashima Shoichi said his goal was to send back these Japanese Heddon's to the USA. 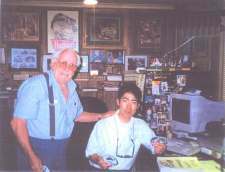 Starting in 1998 through the year 2000 Mr. Shoichi was sending back Heddon/Smith lures to the National Heddon Museum in Dowagiac, Michigan. Don and Joan Lyons owners of the Heddon Museum are working to complete the Japanese lure display for the museum. Mr. Hashima Shoichi "All Japan Special Collection"
Mr. Clyde Harbin Sr. compiled and hand assembled his "Old Lure Japanese History" book. 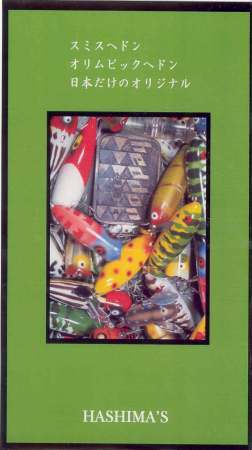 This book is a very comprehensive history book of Japanese bass fishing and old lure collecting. 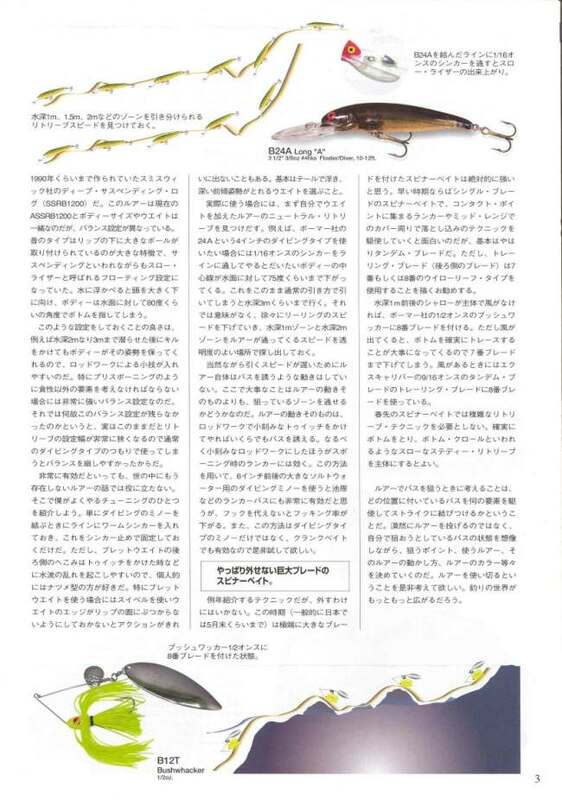 Such enthusiasm towards lures is the root of the popularity of bass fishing in Japan. 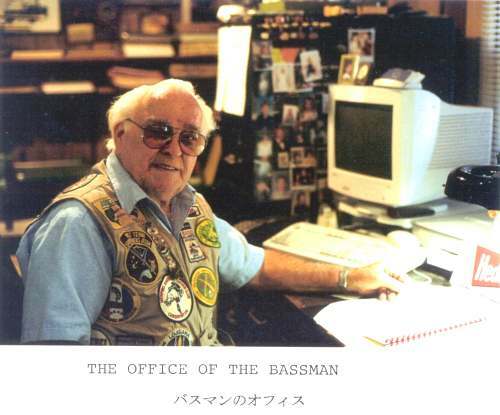 The Smith Co., Mr. Tsutomu Wakabayashi and Mr. Clyde A. Harbin Sr. made a significant contribution to Japanese bass fishing and old lure collecting in Japan. 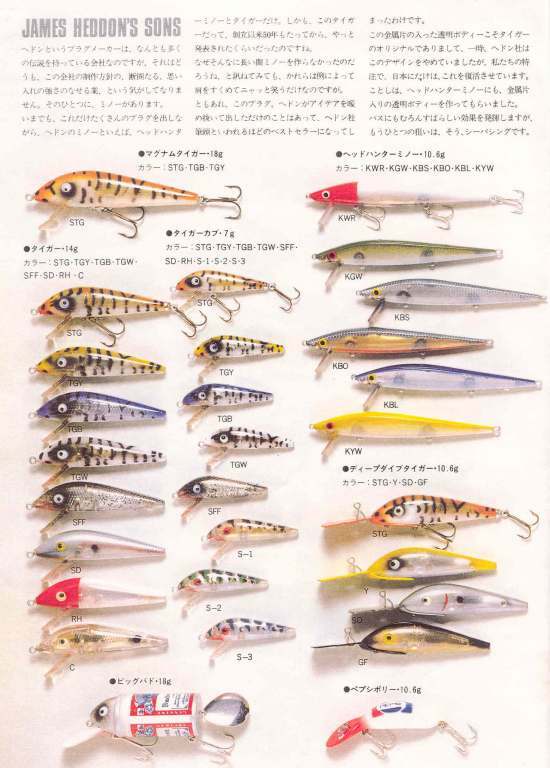 It was because of their efforts that sparked an interest in the Japanese fishermen or interested parties to start collecting old lures in Japan. 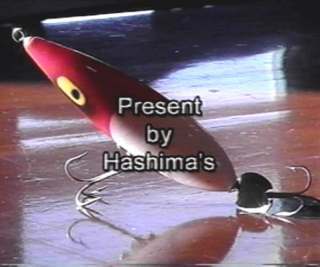 Mr Hashima Shoichi made this VHS video of lures that Heddon made for the Smith Co. Ltd in Japan. 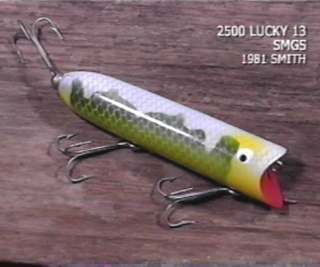 The Heddon/Smith lures were only available by the Smith Company in Japan and were not sold anywhere in the United States. 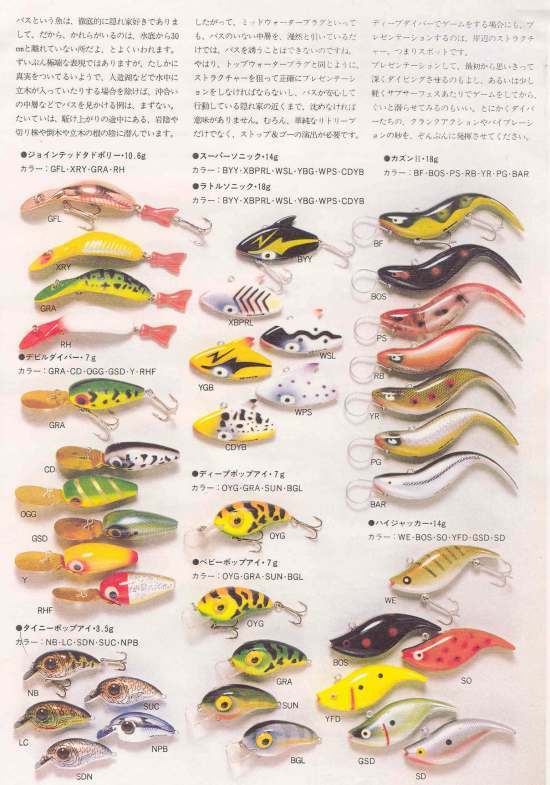 These lures today have become highly collectible and are sought after by many collectors in Japan and in the United States. Mr. Shoichi caught this bass in the Mill Pond. 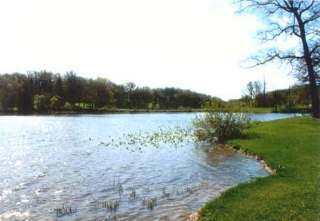 The National Heddon Museum is located in Dowagiac, Michigan. 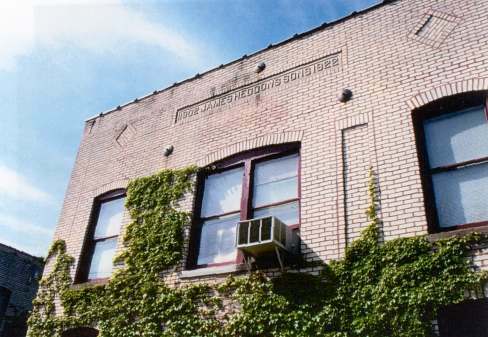 It is owned and operated by Don and Joan Lyons. 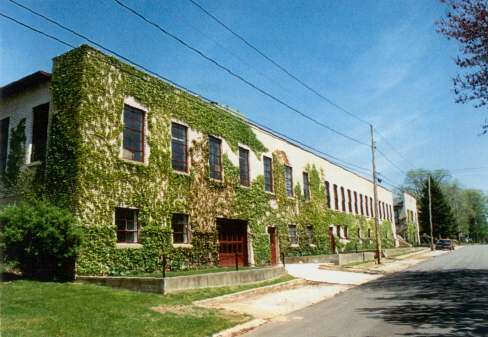 They purchased the remains of the old Heddon factory in 1991 and dedicated a portion of the building for the National Heddon Museum which they opened up to the public in 1996. Don and Joan Lyons goal is to preserve the history of the Heddon Company. There are 403 catalogued Heddon lures and with the exception of only seven lures there is an example of each lure on display in the Heddon Museum along with a wide variety of Heddon artifacts. 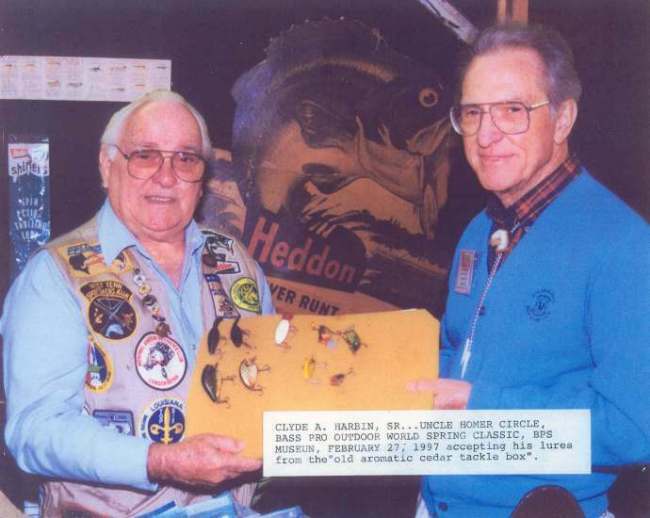 In April of 1999 Mr. Harbin donated some of his Heddon lures to The National Heddon Museum. In a letter to Joan and Don Lyons Mr. Harbin said "What a way to end my Heddon Connection". Mr. Clyde A. Harbin Sr. Note from the Author: All of the material and pictures used for this four part series of The Japanese Story came from Mr. Harbin's hand assembled book titled "Old Lure Japanese History". It was only because of Mr. Clyde A. Harbin Sr. efforts and early involvement in Japanese old lure collecting that enabled me to write this series. It is my extreme honor and gratitude to be an owner of the Old Lure Japanese History book. My sincere Thanks to my special old lure collecting friend Mr. Clyde A. Harbin Sr. the Famous Bassman® for allowing me to write this story.